Whenever I see a home decor item that makes my heart flutter, I love to try to recreate it. This Wayfair Creston Glass Decorative Bottle did just that. If you love upcycling as much as I do, then you are going to love this crafty little craft project too. What I love most about this DIY upcycle is how easy it to recreate. 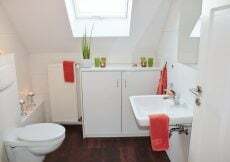 To see the one for sale on Wayfair, click here. I do it love it and wanted to recreate it with my flair! Here’s how I made it. 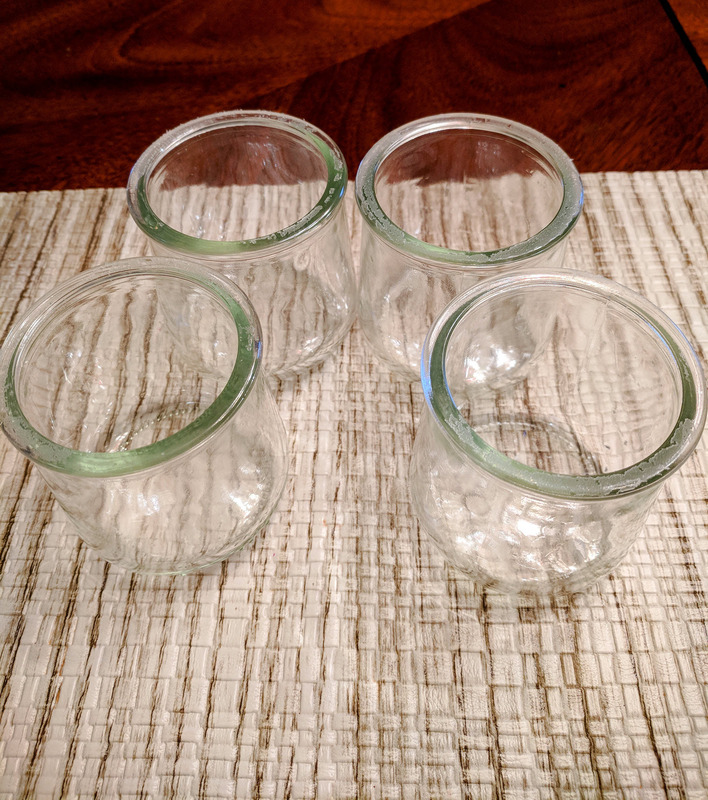 1 – Glass Bottles – I used some leftover Oui Yogurt glass bottles I decided to upcycle. 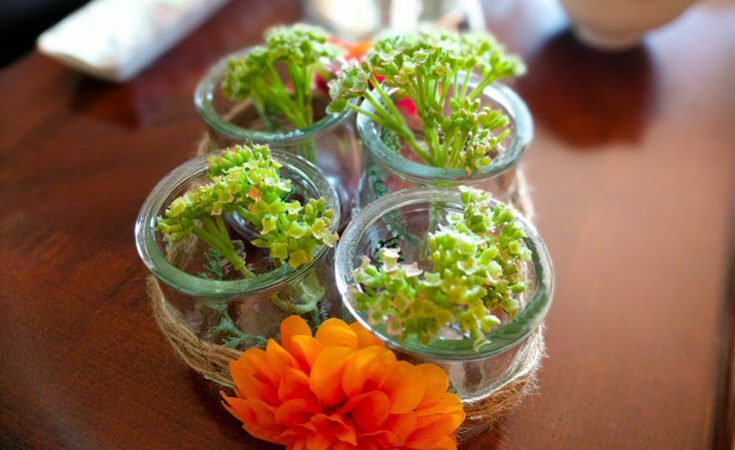 Of course, you can use any glass bottles you have or want to upcycle at home. 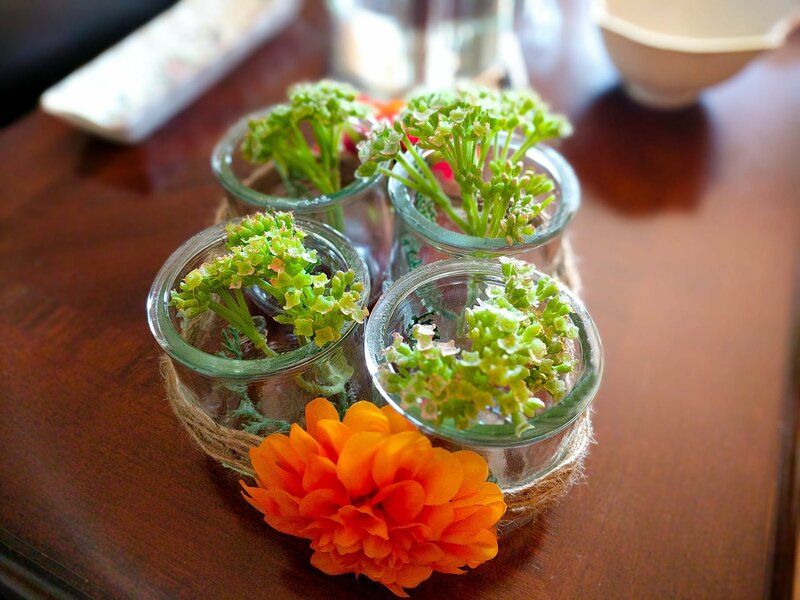 These yogurt containers are perfect for upcycling. Why throw them away when you can turn them into something beautiful? 2 – Cleaning the bottles and removing the labels. Always be sure to thoroughly. These labels were a bit challenging to remove so I used Goo Gone Adhesive Remover (this stuff is amazing!) and soaked them in water for about an hour. You can see a trace of the sticky part of the label on the rim so be sure to remove that as well. 3 – Bottle Placement – You can arrange the glass bottles any way you like but I tried to follow the same style as the Wayfair Creston Glass Decorative Bottle. 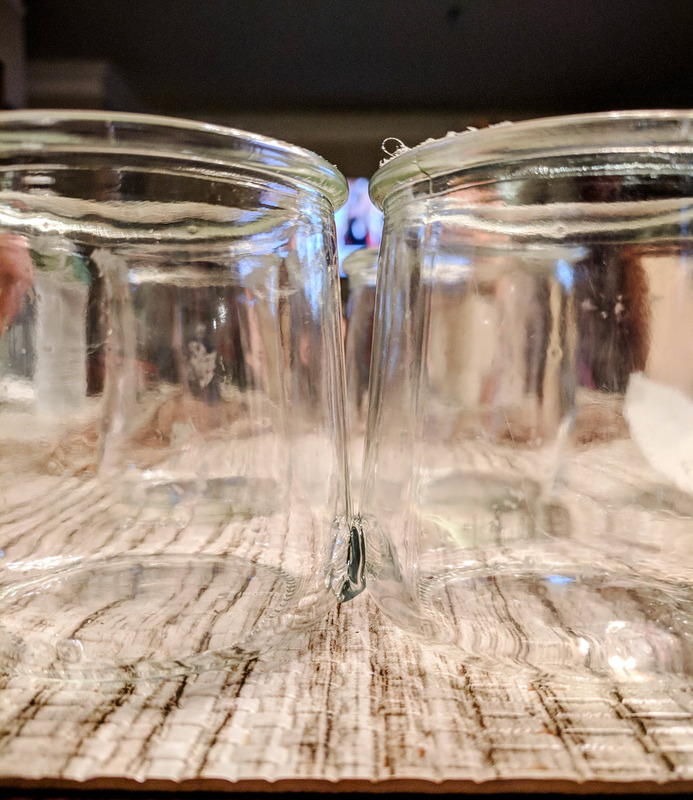 Even though these glass bottles aren’t exactly the same as the ones they used, it was close enough to get that same look as the ones used by Wayfair. I used a glue gun to secure the bottles in the desired position. Note: the glue from the glue gun is not strong enough to permanently hold the bottles together, but that’s OK. The jute rope will hold them together so I wasn’t too concerned about this. If you want the bottles to stick together permanently, try using a stronger glue like E6000 Craft Adhesive. 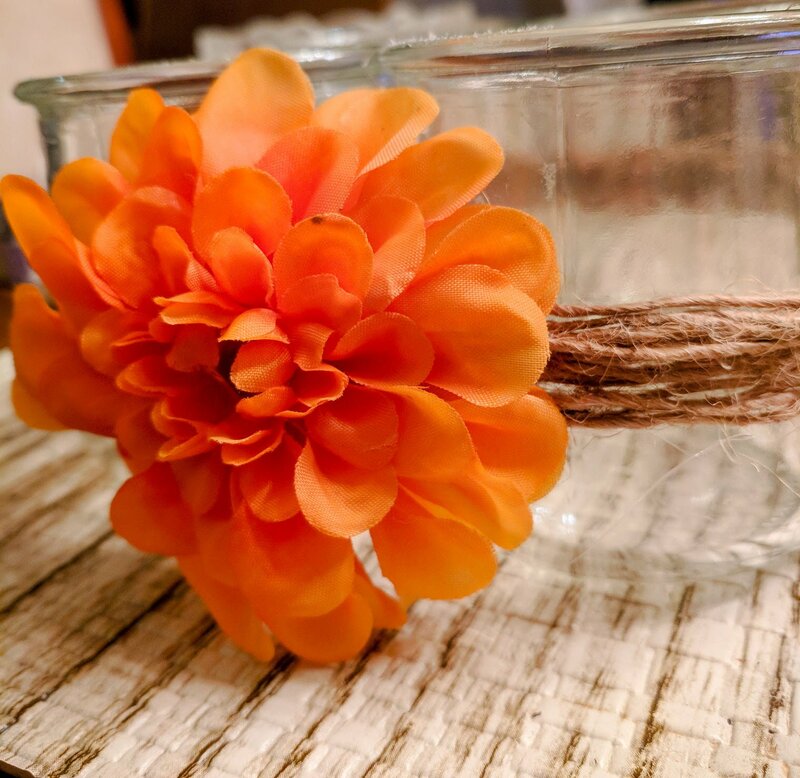 4 – Adding the Jute Twine – I love working with jute and have created so many beautiful projects with it so be sure to check them out too. You can use any size jute you prefer. 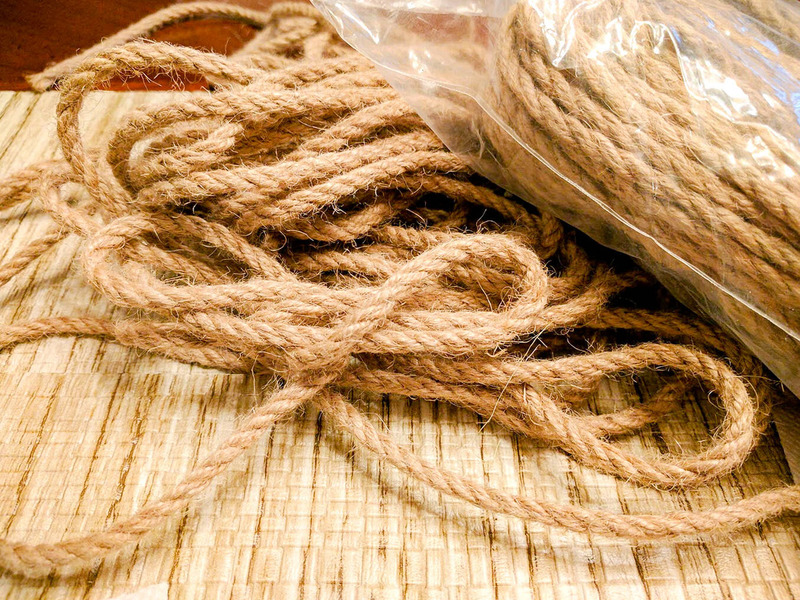 I had a thicker jute and decided to pull it apart into smaller strands. 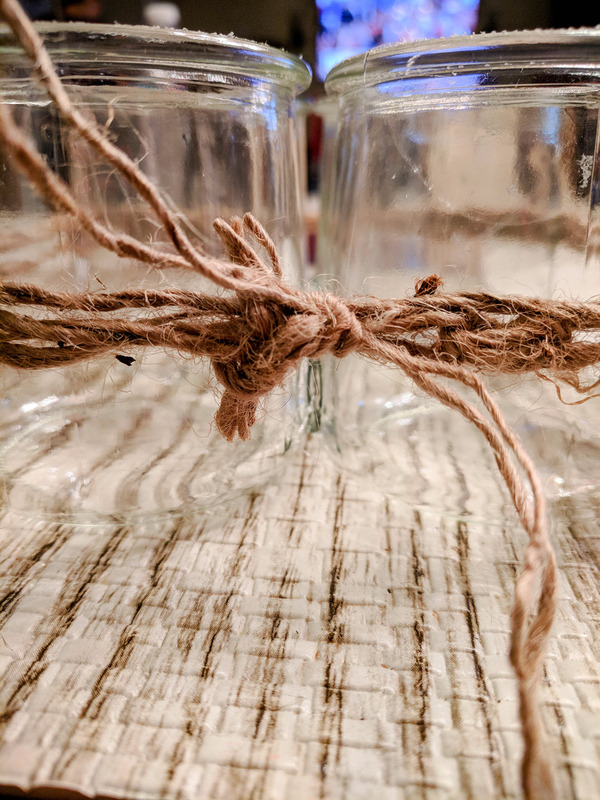 Start by wrapping the jute at least two times around the glass bottles and tie a knot to secure it. 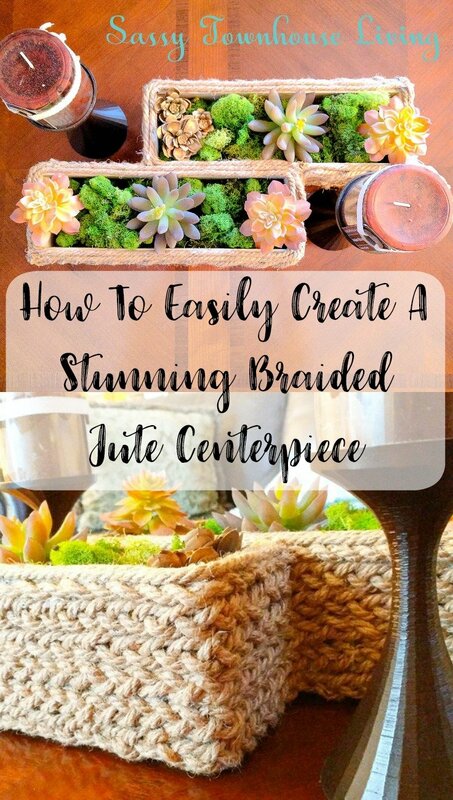 Keep wrapping the jute around the bottles until you achieve the desired look. Be sure to trim any excess jute along the way. 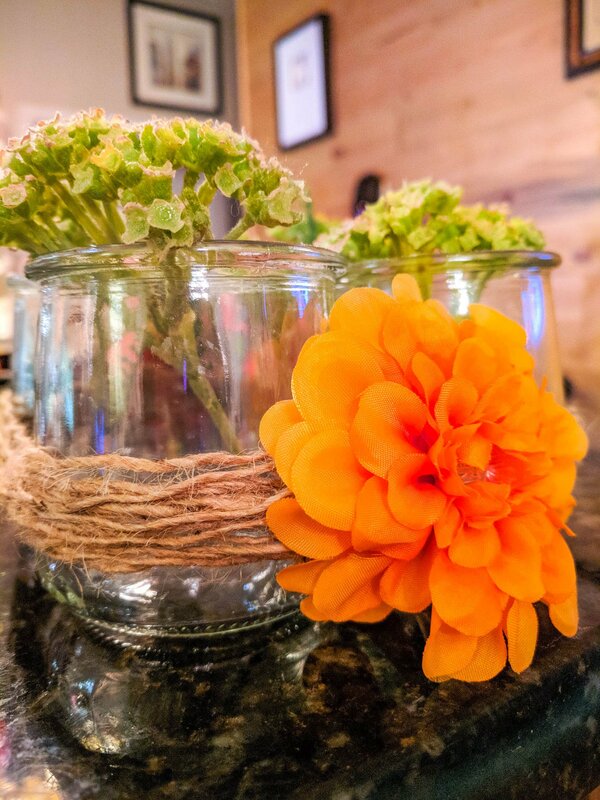 5 – Adding the floral embellishments – I had some artificial flowers around the house and decided to use them. Just use your glue gun to adhere them to both sides of the glass bottles. And that’s it! 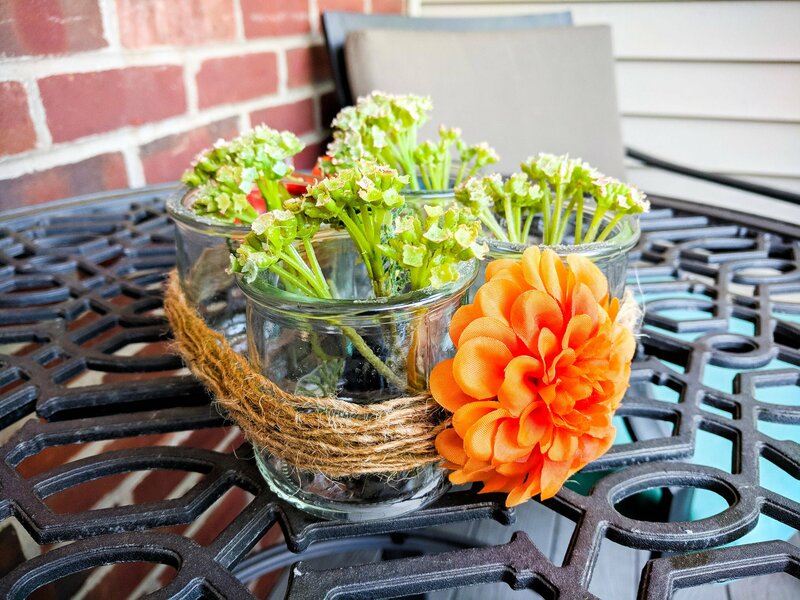 This Wayfair Creston Glass Decorative Bottle is simple, beautiful, and easy to recreate. They are perfect for adding a lovely decor element to your outdoor area too. I decided to fill mine with some artificial grass and cut them to the desired height I thought looked pretty. 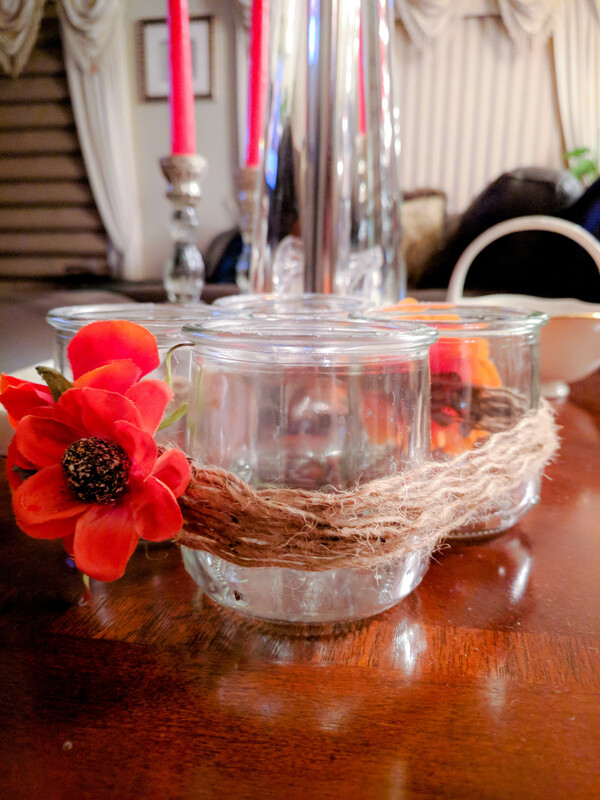 I love how this turned out, and I saved money and upcycled some glass bottles at the same time! I love how it looks inside my home too. 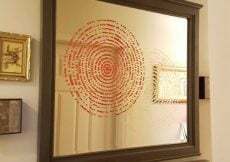 It’s perfect for your powder room, entryway, or anyplace in your home. 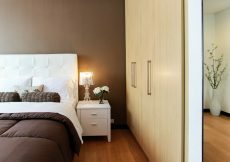 You can also leave it empty too – either way, it’s a decor element that will compliment any home. I’m looking forward to filling them with fresh lavender too! Let me know if you have any questions below in the comments. And as always, thanks so much for stopping by! 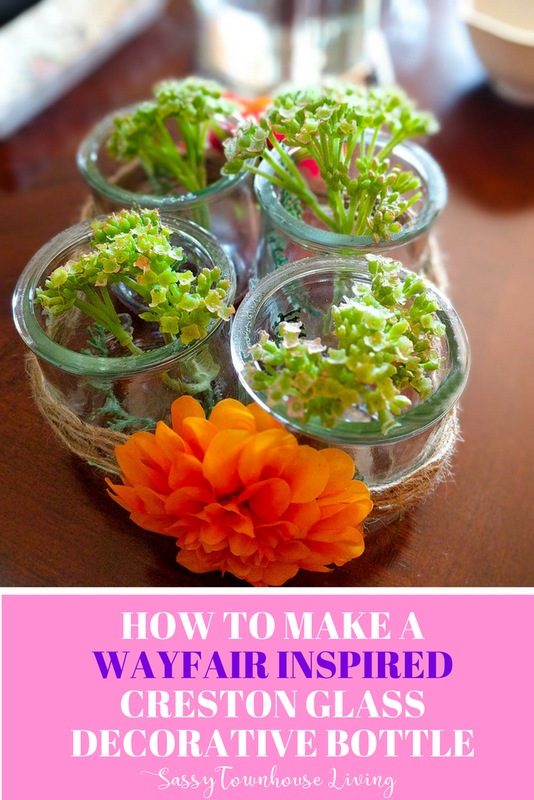 If you like this post, How To Make A Wayfair Inspired Creston Glass Decorative Bottle, subscribe via email below and never miss a post again! 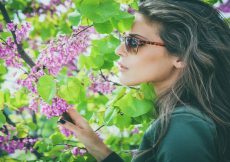 Spectacular Eyewear – Are You Wearing Your Chic? 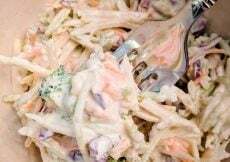 Creamy Coleslaw Recipe Easy And Delicious – Loaded With Veggies! I always think of your Jute creations and this one now has a special place in my heart. 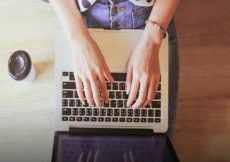 I just love the simpleness of it, yet it is adorable and so useful in many many ways. Thanks so much, Sue. 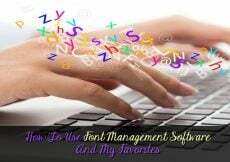 I love working with jute. There are certain fabrics and textures that always look so warm and comforting and this is one of them. I love this. You really have the magic touch with jute. Everything you make with it is gorgeous!!! These are no exception. 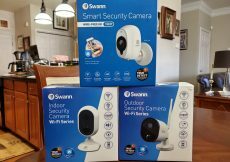 I love Wayfair and I would re-create anything they have. I was just looking at their lamps to get inspired to re-do a couple of lamps I have. Nice job! Thanks so much, Michelle. Your kind words mean so much to me. It was fun to make this and I love how it looks on my front porch. I put some candles in it too and it’s just perfect. Oh wow, the lamps sound like a fun project for sure! Can’t wait to see them. Always a pleasure hearing from you. 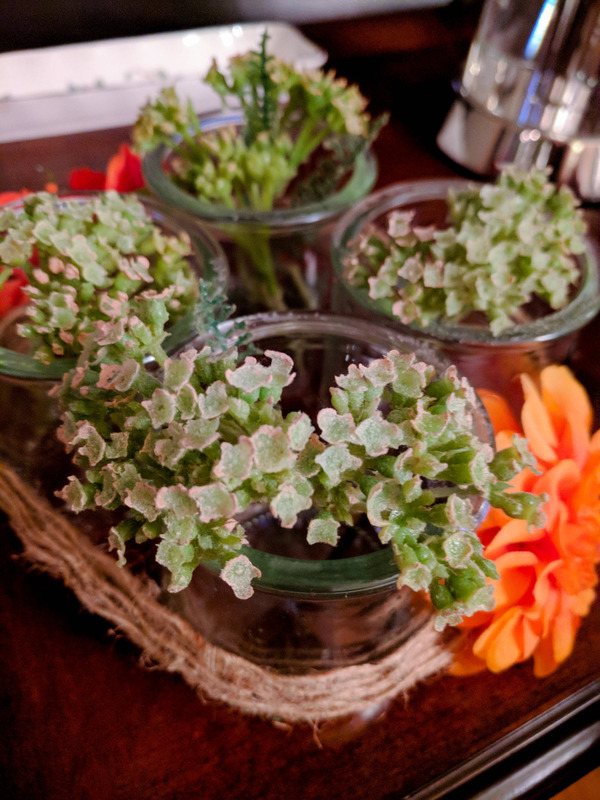 I love those little bottles and how you repurposed them as a centerpiece Carolann. They’re going to look gorgeous with that fresh lavender. Just last week I bought some yogurt in glass bottles. First time I’ve seen them on the shelves here in South Africa BTW. 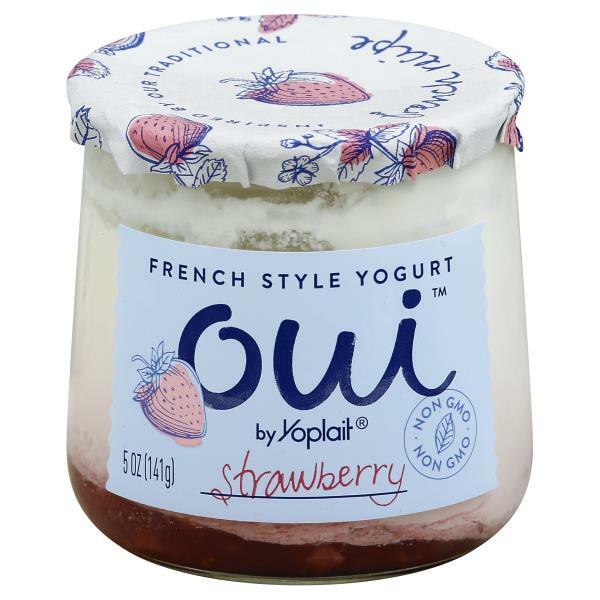 I don’t think they’re Oui Yogurt though. I’ll have to check next time, but they’re so pretty and I’ve been trying to think of how I can re-use them, so your idea is just perfect. Hi Michelle, thanks so much. those little Oui bottles are the cutest thing ever. I’m always thinking about ways to upcycle them. Thanks so much for stopping by. It’s always a pleasure hearing from you!